On the strength of their well-received debut album, Overcoming Limits, Brazil's Age of Artemis returns with The Waking Hour, and you can likely toss away any references to that other famous Brazilian power metal band, Angra. 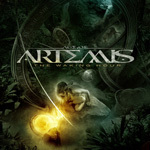 Age of Artemis: waking now. While the traditions of melodic heavy and power metal still form the foundation of AoA's music, they've definitely bumped up the progressive metal elements. The difference is that the band is not weirdly technical, trying to both impress and confuse their listener. The structure of the songs don't sacrifice melody and groove or giving you solid heavy/power metal, while they toss in their twists and turns. Under The Sun and Broken Bridges, two early songs are prime examples of this; the latter having an almost pop accessibility in the midst of the prog power. Alternatively, Age of Artemis can go for simple melodic metal as with the anthem Hunger and Shame, where the prog nuances are nearly lacking. Childhood takes a similar path, less prog wonkery, more melodic metal groove and pedestrian accessibility thanks to the sweet refrain. Then immediately following, Melted in Charisma is heavy and sharp metal, with this crazy feeling of metal fusion lead by the bass line after the mid point. For something completely different, there's Your Smile, a light and pleasant number featuring acoustic and vocalist Al�rio Netto at his smoothest. It reminds more AOR melodic rock. New Revolution adds a symphonic layer to the mix, adding depth to the power metal, yet without making the some Rhapsody of Fire bombastic. It's also another song where, at the midpoint, a metal fusion breakdown ensues, led first by bass and piano, then followed a skillful, nearly understated guitar solo. There are more tricks up their sleeves with the closing piece Winding Road. AoA combines light orchestration, acoustic guitar, piano, and a gentle vocal arrangement to create some more of that AOR melodic metal. 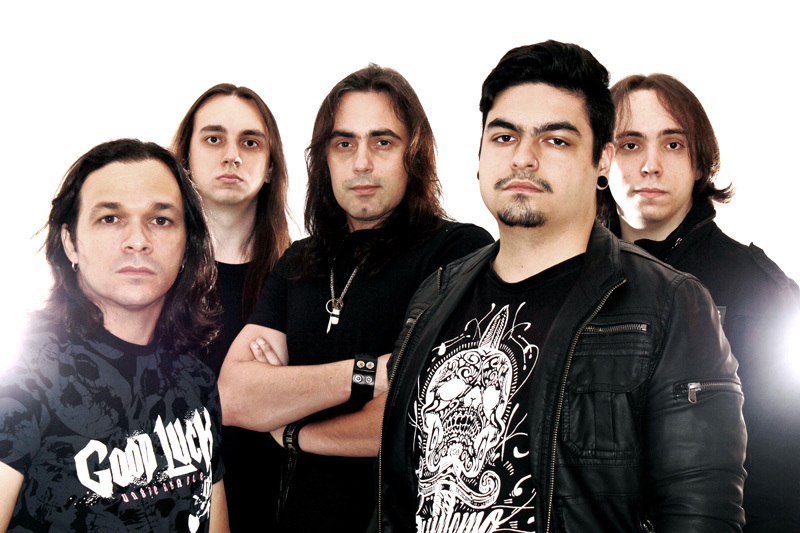 Age of Artemis's breadth and depth of composition and musicianship are likely the band's greatest strengths. That, and Al�rio Netto's vocals and the vocal arrangements in general. They better not lose this guy to another band. The Waking Hour is quite creative, appealing, and entertaining melodic progressive power metal with more than a few interesting twists, and easily recommended. The Waking Hour is quite creative, appealing, and entertaining melodic progressive power metal with more than a few interesting twists, and easily recommended.